Out with the old and in with the new! We’ve done some Spring cleaning here at Rainforest Cruises and we are very excited to announce the launch of our new, colorful and modern website. We hope the new Rainforest Cruises will inspire you to finally check off the Amazon rainforest from your travel bucket list. If you’ve already been on an Amazon river cruise, we invite you to travel to one of our new destinations, that are coming soon: Galapagos Islands or the Panama Canal. We also have a few new riverboat styles added to our existing destinations in Peru, Brazil, Ecuador and Bolivia. Take a look for yourself and stay tuned, Rainforest Cruises will be announcing a very special cruise deal to kick off the launch of our new website! A few months ago, we changed our old Rainforest Cruises logo to a new logo rich in color, inspired by the Amazon’s vast flora and fauna. Our new website design reflects the colors of the Amazon and is rich in photos, giving you the perfect glimpse of what’s to come during your trip to the Amazon region. The design itself is very clean and easy to navigate, allowing you to find what cruise style and cruise destination matches your budget and preference. The handy “cruise compare” button allows your to easily compare cruises you are most interested in, without the hassle of copying + pasting, bookmarking or having multiple browser windows open. 2. Mobile Friendly for Travellers on the Go! With the popularity of smartphones and tablets, it’s quite common to be browsing around the internet for travel plans while you are on the go, or more frequently, browsing around from the comfort of your bed. 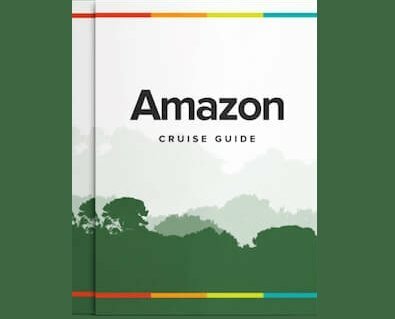 The new Rainforest Cruises is mobile responsive, so you won’t have any troubles comparing and contrasting Amazon river cruises, wherever you may be. We recommend bookmarking our helpful and informative Jungle Blog to your mobile phone or tablet, for those long rides home or afternoon reading breaks. 3. Cruise Compare– Find the cruise for you! Our favourite feature on the new Rainforest Cruises is Cruise Compare. This new feature makes it very easy for you to compare and contrast all of your favorite cruise boats on one page. No need for bookmarking, printing or copy and pasting, just check the riverboats you are most interested in, hit compare cruise boats, and you’re all set. Our goal is to match our customers with the riverboat that best suits their interests and budget, and give them all the information, expert advice and excellent customer service they need to ensure a wonderful travel experience and an unforgettable adventure of a lifetime. Thanks to our new Cruise Compare feature, finding your best riverboat just got a lot easier! Find this feature on our homepage. Rainforest Cruises is launching two new exciting cruise styles: honeymoon cruises and family cruises. Not many experiences can match the adventure and romance of the Amazon rainforest and its magical sunsets and starry night skies. We’ve selected the finest luxury cruise boats in Peru for newlyweds to enjoy a honeymoon unlike any other. Imagine arriving to your honeymoon suite with rose petals, desserts, champagne and a panoramic view of the Amazon rainforest. Honeymoon at its best. View Honeymoon Cruises here. Travelling with family is a rewarding experience. Since not all riverboats have the facilities to cater to small children, we have picked out the best cruise options for you aboard the vessels that have the best family-features. Now all you need is a passport and a plan for adventure to start building life-long memories. View Family Cruises here. Rainforest Cruises is introducing two new cruise destinations: Galapagos Islands and Panama. The Galapagos Islands are described as one of the most unique, scientifically important, and biologically outstanding areas on Earth, cruises to the Galapagos Islands can be a life-changing experience. Home to an incredible array of unique and fascinating animals endemic to the archipelago, a Galapagos cruise is a haven for wildlife and nature-loving travelers alike. Panama and her namesake canal are steeped in history. Follow in the wake of Spanish Conquistadors, Columbus and pirates as you discover why Panama has for centuries been a source of natural pilgrimage as you make your own special journey between the Pacific Ocean and clear blue Caribbean waters. Rainforest Cruises is very excited to announce these two new destinations to our travellers, what do you think? Panama or Galapagos on the bucket list? Let us know what you think about the new Rainforest Cruises! Our travellers are the most important to us. Our goal is to make booking your unforgettable adventure as easy and fun as possible.